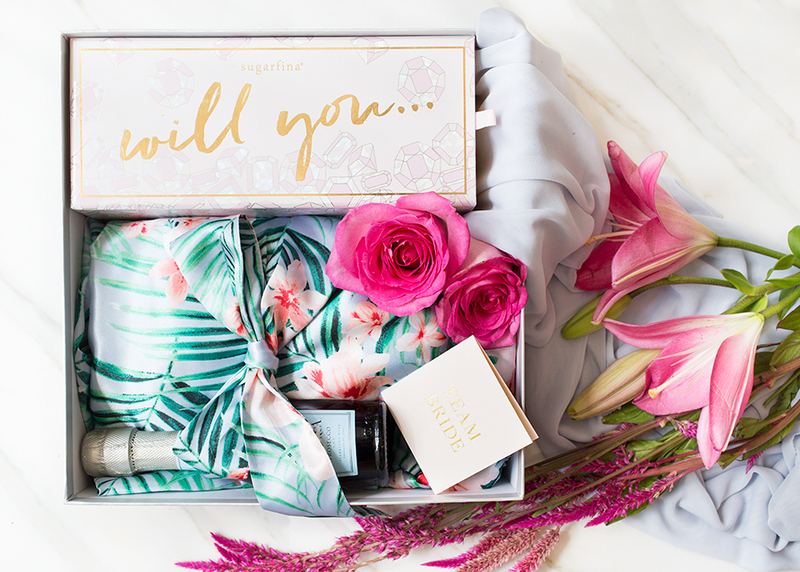 Whether you're welcoming your guests to your wedding weekend, sending them off with a few party favors, or asking your best friends that oh-so important question, custom packaging can be a special way to show your love and appreciation to the people in your life. We offer our curatorial and packaging expertise to clients looking for unique packages that are unlike any other. We're here to get creative with you, source your items, assemble your packages, and see to it that they arrive in the right hands with a wow! See some examples below and contact us to meet with one of our specialists! A fun and special way to "pop the question" to your bridal party, this package features a Sugarfina bento box that let's you ask it with sweets! It slides open smoothly to reveal three lucite boxes of various candies, each labeled "Will you," "Be My," "Bridesmaid" or "Maid of Honor." Also featured is a silk tropical robe that set the tone for this Paradise Island destination wedding, a half-split of champagne, and a foiled "TEAM BRIDE" card with a personal note inside. Everything lays on a bed of white shred in a silver box, and is tied with a white satin ribbon and fresh flora. With a rose-gold color palette that began with their Save The Dates and carried through to the wedding day, Sarah & Amit's rose-gold welcome bags greeted guests with a luxurious feel. 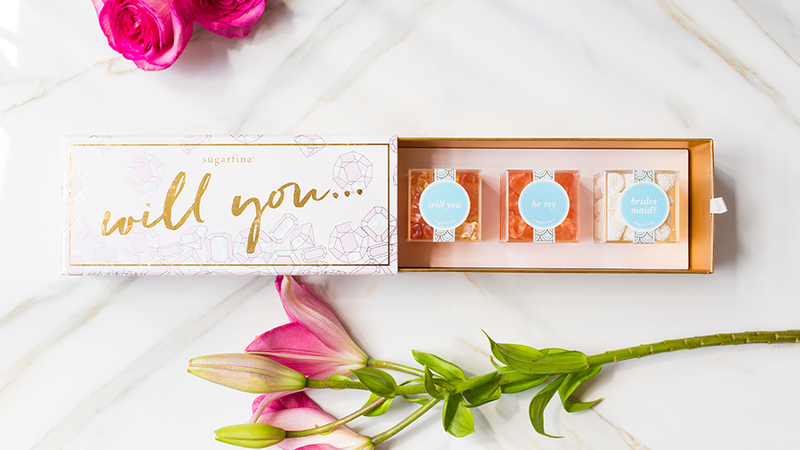 Two bottles of water and a Sugarfina Rosé All Day Bento Box are made complete with an exaggerated tag letter-pressed in rose gold foil to make this package pop. When Ashley and Ryan's guests arrived at their hotels, they were greeted with true Philadelphian treats: Federal Donuts! In addition to its Philly-themed contents, this box also features a custom-printed, hand-glittered box topper and a big white bow to tie it all together!